Blueberries are ideal for the home grower. They do not need much space and can even be grown in containers. 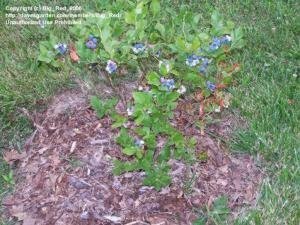 I just started my blueberry 'patch' last year, so start yours now and we can become blueberry farmers together. About twenty years ago, I read an article about growing blueberries in containers and became intrigued. This sounded like something I could manage. Two half whiskey barrels were purchased and placed alongside the vegetable garden in our back yard's best available sunlight. 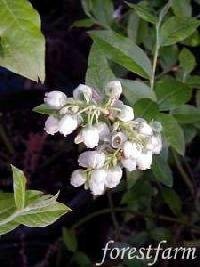 Most blueberries need a second variety for pollination, so two plants of different varieties were purchased, although I no longer recall the names. Perhaps I did not do enough reading on the care of blueberries at the time. Plants in containers have additional needs. They did well for a while and we had enough fruit for a few pancakes and muffins, but rather than growing and becoming more robust they just kind of faded away. It was probably a lack of nutrients. This time I vow to do better by them. We live in a different home now with tons of sun. I chose an area at one end of what I refer to as my "cottage garden" for all acid-loving plants, which includes blueberries (Vaccinium). They require a soil pH of 4 to 4.5  to thrive and this is rarely found in a home garden. In order to prepare your soil for blueberries, you should start the year before. Test your soil, either with a good test kit, or send a sample to your local extension service. Then add a minimum of four inches of organic matter (grass clippings, aged manure, chopped leaves, etc.) and work it well into the soil. An additional soil test should be done after the organic matter has been added. Granular sulfur can then be used to further lower the pH to the proper level. It should be added at least three months before the blueberries are planted. Assuming you have properly prepared your bed for planting as I did, it is time to decide how many plants and what varieties you will grow. Athough the newer cultivars are mostly self-fertile, you will get larger berries if you plant two varieties of the same type. 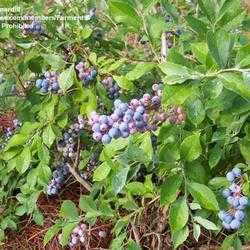 There are several types of blueberries, northern highbush (V. corymbosum), southern highbush (V. virgatum), rabbiteye (V. ashei), half-high, lowbush (V. angustifolium) and even some dwarf cultivars. You will choose varieties based on your location and climate. 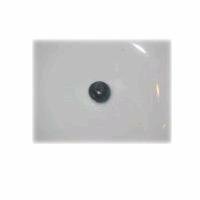 Consult the vendor for advice on what will be best for your particular situation. Although northern highbush would grow well in my climate, I was looking for smaller plants. Northern highbush have a mature height of 5 to 9 feet, so I selected some half-high varieties. Which ones you choose will depend on what qualities you are looking for: size, sweetness, high yield, early-late maturity, etc. My main criterion was a sweet berry. Most recommendations are for plants to be spaced 4 to 5 feet apart in rows. As I decided on only 6 plants, they were planted 5 feet apart in all directions rather than in rows, but if you have more than that you would probably need to do rows for proper maintenance. For the 6 plants, I selected 2 each of 3 varieties; 'Northland' (at one year in the opening thumbnail), 'Northsky' and 'Northblue', from St. Lawrence Nurseries, which specializes in hardy plants for climates like mine (see photos below; descriptions are from St. Lawrence Nurseries' catalog). 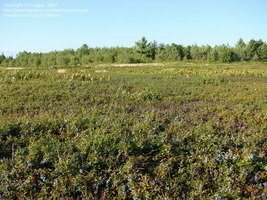 Blueberries should be planted in early spring in all areas of the country. It takes three years for a plant to mature enough to produce berries. 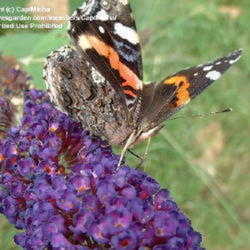 Before that, all flowers should be removed so that the plant's energy goes into root growth and strengthening the plant. I have to admit, I let the one flower from the first year mature into a berry. It was irresistible. Big surprise that the birds did not grab it before I got to it! After that, it will be six years before the plant reaches its full maturity. By then, some kind of bird netting  will probably be necessary unless your whole goal is to attract birds. Blueberries do not have to be pruned for the first 3 or 4 years . Click on any of the pictures below to go to the PlantFiles entry. If all this does not entice you into growing some blueberries in your landscape, perhaps the blazing fall color will. 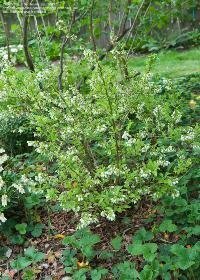 They will add a wonderful accent to your landscape and can substitute for plants like burning bush (Euonymus elatus) which can be considered invasive. Many thanks to those who contributed photos: Big_Red ('Northland'), Blueray98 ('Jersey'), Farmerdill ('Woodard', 'O'Neal'), Gardening_Jim ('Northsky'), claypa (lowbush, highbush fall color), plantaholic186 (dwarf 'Top Hat' fall color). 'Northblue' is courtesy Forestfarm. 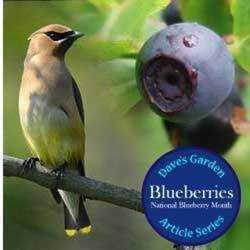 Growing Blueberries in the Home Garden, Ohio State University Extension Fact Sheet. I'm a 'dabble' gardener. Been gardening since I was a child. I will plant anything that will grow for me and some things that won't, indoors or out. Outdoors I have theme gardens: roses, butterfly/hummingbird, heathers/dwarf conifers, a rock garden (in progress) and a new English-style cottage garden with an herb garden at it's 'heart'. Indoors I try to concentrate on orchids, African violets, anything that will flower or has lots of color and unusual houseplants. I try to stay organic and keep chemicals to a bare minimum. My non-gardening interests include quilting, counted cross-stitch and watercolor painting. I am a proud grandma, recently celebrated my 40th anniversary and before my retirement I was a clinical systems analyst (computer geek) for 24 years.